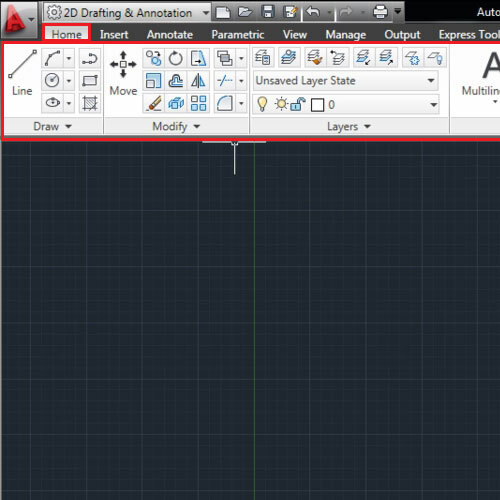 AutoCAD provides you an access to a wide variety of tools. 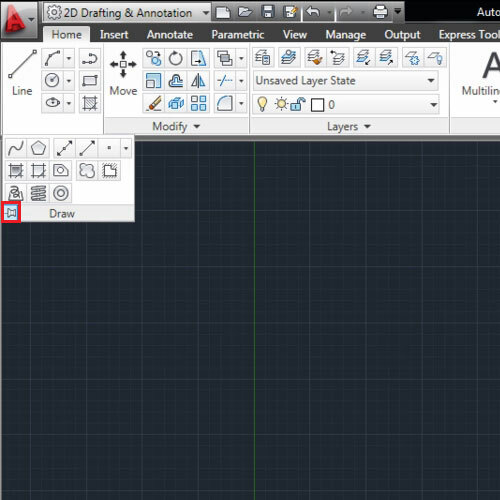 When you are at the main interface of the software, notice that there is a ribbon running through your workspace all the way at the top. There are tabs at the top, each of which has a different set of tools. You have your “home” tab that consists of the basic tools then a separate one for inserting files and more various tabs that serve different purposes. 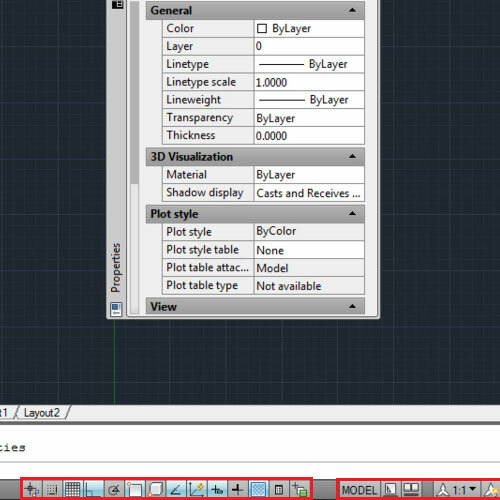 When you select a tab, as you can see each one consists of further panels. Most of them have drop down menu options which then provide you with more tools to work from. 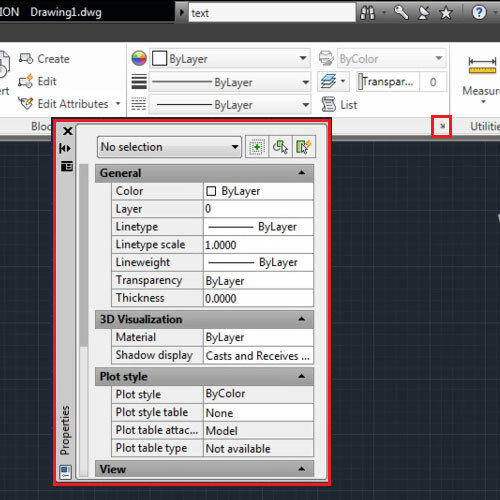 For example the “draw” panel consists of basic drawing tools that are visible, if you click the down arrow your get an access to more tools. However, if you take your cursor away the menu goes back up. If you want it to stay then press the “pin” option at the bottom and this menu will stay open. 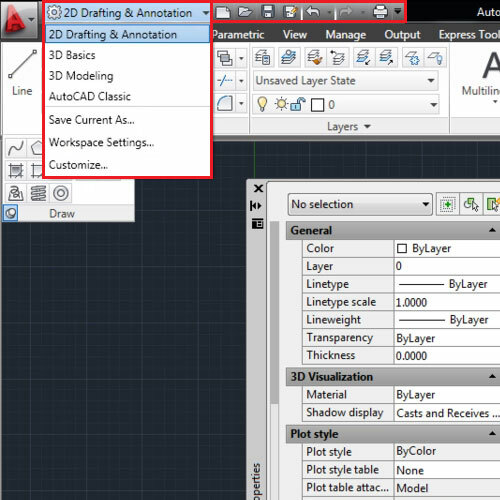 Some panels have a complete settings fly out menu that appears when you click the arrow present in the panels. For example when you click the arrow on the “properties” panel in the toolbar menu a separate settings menu appears whose settings you can then adjust. 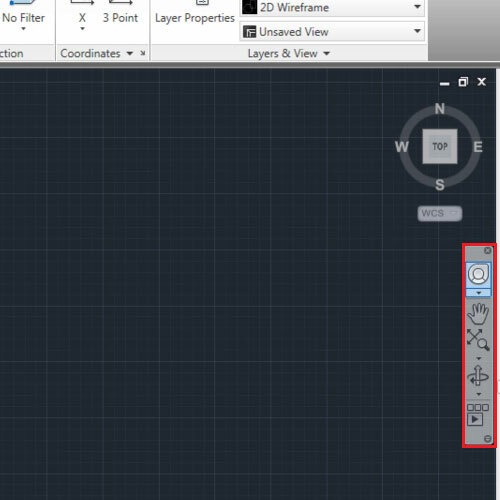 The dropdown menu on the top allows you to switch between options of drawing shapes in different dimensions. The options next to it allow you to save the current, open old and new files or print existing ones. There are several options also present on the bottom of your interface which serve varying purposes. The tool panel for navigation is present to your right side which helps you to move around your drawing easily. 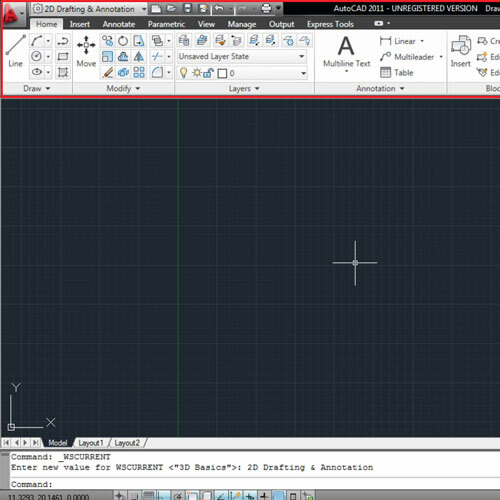 Tools in AutoCAD are present all around your interface. This software consists of a wide variety of tools therefore it is better to explore them so as to understand how to work in them better.